March 2017: CySEC has withdrawn the license held by Atlas Capital Financial Services. CLICK HERE to verify. April 7, 2016: Cysec has suspended the license of ACFX. One of the reasons listed was issues safeguarding clients' funds. CLICK HERE to verify. 2019-01-10: The company changed their URL from AtlaseForex.com to ACFX.com then closed ACFX.com and changed back to AtlaseForex.com. Fake reviews left from ACFX employees on 2016-01-27, 2015-11-05, 2014-05-27, and 2011-11-16. The FPA is very disappointed that these unethical incidents continue to happen. If this is how honest a broker is with reviews, how honest will the broker be wih trader's money. There is an FPA Traders Court Guilty verdict against ACFX. The FPA recommends caution dealing with this company until this issue can be resolved. Anyone who has not received withdrawals, please contact me. I am researching this matter in detail and would appreciate your accounts. I promise to uphold complete anonymity at all times. I in the background of ACFX sprinkle funds, from March 20th. Until now, are also not return my money, but I on May 16, see other countries of investor money thrown back, I can be sure is that all Chinese customer funds are not returned, why? Why? Why? ACFX, do you have a bad view against us Chinese? PEACE ARMY FOREX, can you help us? Review Moderation Team Note: Please get a thread opened in the Scam Alerts folder of the FPA's forums to share more information about your problem. ACFX is not replying my messages or executing my withdrawals since the license was suspended. This is clearly illegal as the regulator said funds have to be returned to clients. I will remove or amend this post when funds are back in my bank account. I made equal experiences with ACFX regarding their payout process than Sergey described below. One thing is their no-reply to requests regarding the status (they additionally switched off the online chat functionality in order to not get too much disturbed) and another thing are the strange excuses they send out (in case they actually answer – which does not happen that often). First they told me that the withdrawal method I have chosen does not work out and I would try another one. After having tried another method they still did not transfer my funds instead they did not react to my emails for another 2 weeks before giving me the next excuse that all accounts are under investigation regarding eventual abusive trading style (arbitrage) which will take time. As my average holding time of a trade is more than 2 hours it would take less than 10 seconds to check my account and release the payment. Instead they are artificially delaying the payout or maybe even considering of not paying at all (neither my initial deposit nor the gain I traded). I have filed a complaint with CySEC and will approach a lawyer now in order to get my money from them if needed with help of a court. 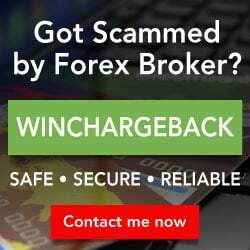 I am currently using 11 brokers for my trading activities and never had that communication difficulties nor withdrawal issues as they are currently happening with ACFX. In case they will ever get back their trading license, this company should be avoided for ever! According point 6.2. CYSEC Decision 7 April 2016 they must return, but they don't. 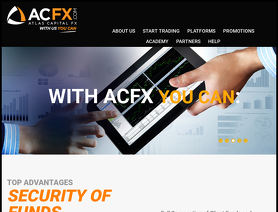 I demanded ACFX transfer to my bank account 927.01$ (profit and deposit), but no anwer. Hello Client. How may I help you? This is to confirm that your withdrawal instruction has been received and is currently being processed. Please review the following details to ensure that they are correct. If any of the details below are incorrect, or if you have not requested this withdrawal, please contact our support department immediately. its been 7 days since I ordered withdrawal and received this e-mail. Funds are still in MT4 account. can i also have your email address, Sir? We would like to inform you that due to issues related to abusive trading performed by a number of our clients, ACFX license has been suspended from 7th April 2016 in order to be able to define the situation and reply to CySec on the matter. We would like to notify you that during the suspension period we will not be able to execute any kind of orders or accept any new clients. All other trading functions remain as is. Review Moderation Team Note: We recommend you read the Cysec announcement. While the license is suspended, you can ask them to close all open positions and to return your money. ACFX license has been suspended by CySec today. i cant execute my trade either.